An enchanting, illustrated guide to the world's most magical places, from fairy tale forests to haunted houses. Magical Places is for armchair-voyagers and pilgrimage-makers alike. This beautiful volume will take readers on a charmed journey around the world, dipping into some of the most storied destinations in the farthest flung corners of the globe. With chapters like Places of Healing, Haunted Places, Magic in Nature, Fairy Tale Locales, The Past in the Present, and Ley Lines -- the arcing lines that traverse the planet, where magical phenomena frequently occur -- wanderlust is sure to be stoked for frequent travelers and the magic curious alike. Featuring beautiful illustrations with a smattering of lush, full-color photography, this book will entice readers who long for adventure and enchantment in the world, who want to visit or at least learn about places where magic is real -- or once was. Many of us love plants . . . but it often feels like plants don't love us back. For those people - the people who have purchased several "impossible to kill" houseplants, only to find them dead mere weeks later - there is The No Kill Garden, a charming collection of plants to craft and share. The handcrafted plants offered in this beguiling volume provide the sense of being surrounded by green, luscious plant life, without having to worry about that pesky watering. The No Kill Garden offers a wide variety of plants, from mushrooms and flowers to vines and terrariums, and a broad range of easy-to-follow crafts, including paper, felt, needle-felt, knit, and crochet. The more than 30 projects in this book are not just random flowers or leaves, either -- each of the crafted plants is inspired by a specific variety and is accompanied by a lively description of its main characters. Each of the plants is structured for a beginner, so that anyone with an interest in crafting can make them, and is paired with beautiful images of the finished project to delight and inspire readers. Our homes are meant to be a refuge — a place of calm, serene contemplation where we can recharge after a long day. 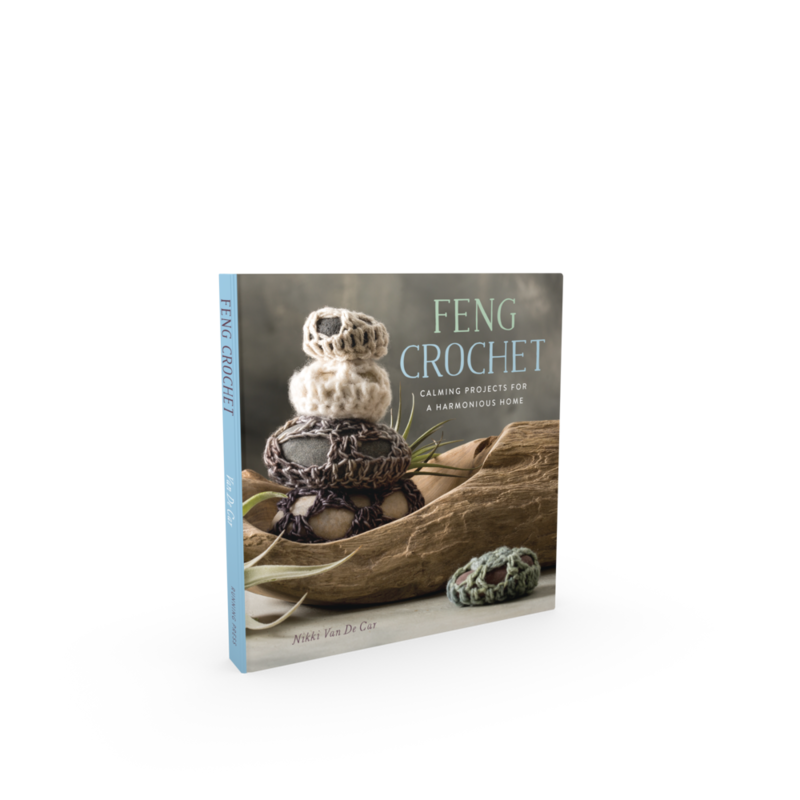 Feng Crochet teaches readers how to create a nurturing environment with simple, beautiful projects to crochet. Grouped by the five elements of Feng Shui (wood, fire, earth, metal, and water), the patterns in this book range from home decor (plant hangers, large baskets, lampshades, and scatter rugs) to small, precious items that add a touch of warmth and peace to any room (napkin rings, dreamcatchers, doilies, and curtain ties). The projects here are not the complicated sweater patterns found in traditional knitting guides, but simple, beautiful objects anyone can create.Each is paired with an inspirational, intention-setting prompt and falls under an overarching theme-Color, Texture, or Structure-that encourages knitters and crocheters of all skill levels to be fully present in the moment. 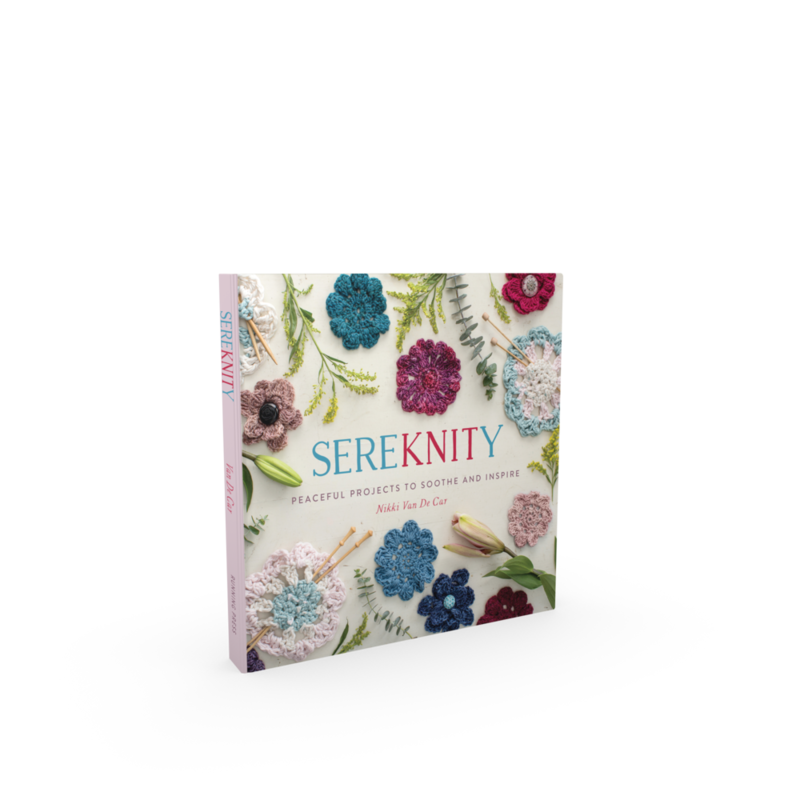 SereKNITy gently guides readers to look inward as they work, releasing their anxiety as they create something beautiful. This is meditative crafting of the very best kind. Toddlers and young children are energetic, curious, enthusiastic, and messy! The 30 patterns in What to Knit: The Toddler Years reflect this, allowing you to show their individuality whilst emphasizing practicality and comfort, with advice on machine washable yarns. 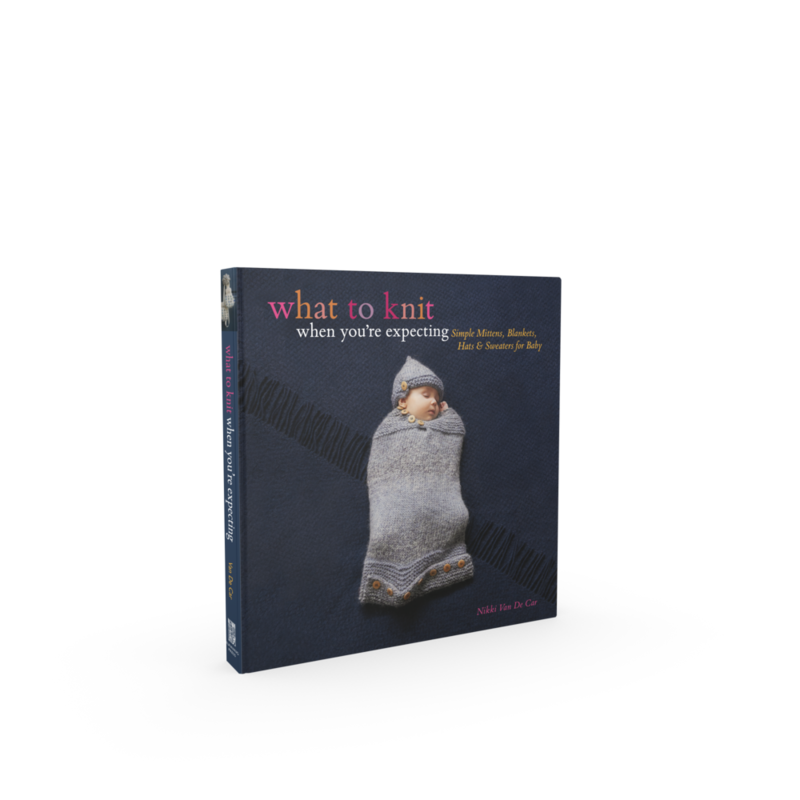 The chapters are divided into Rough & Tumble, which includes a comfy hooded jumper and roomy overalls; Neat & Nice, a lace panel cardigan and a dandelion pullover perfect for visits to Grandma; and Toys & Miscellany, a stuffed octopus, knitted oven gloves for toy kitchens and a ladybird pillow. From over-sized buttons to help tots dress themselves to a playful animal hat, these whimsical and beautiful designs will delight both the young and the young at heart. Once you’ve got a handle on your delivery from the stork, flip through this adorable assortment of 30 knitting projects for the bundle of joy. The projects range from first trimester projects (which are moderately advanced, since there are months to finish) to second trimester (when most parents can determine the baby’s gender and prepare for a boy or girl), to third trimester quickies, when time is short. The booties, bibs, toys, blankets, and clothing will be one-of-a-kind items, fit to welcome a special person into the world.